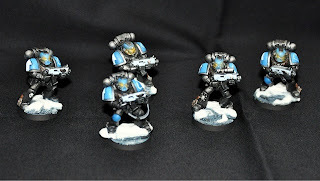 The first squad of the Lightning Scars is finally ready to proof themselves on the battlefield. 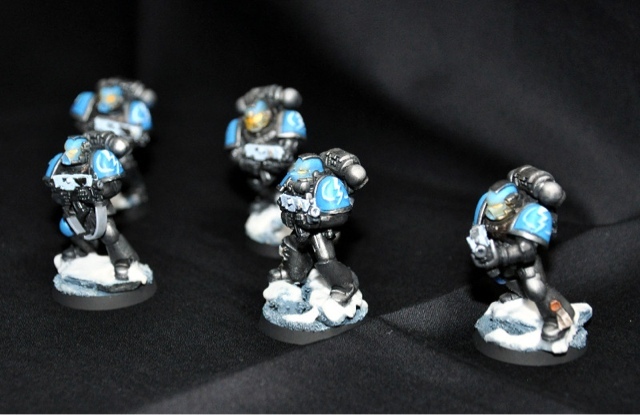 It is a Tactical Squad consisting of 5 Space Marines with bolter guns. There are 4 more Space Marines to come, one with a plasma gun, and also a Sergeant. But for now enjoy the first 5 miniatures! I really like the design of them!